Snob's Music: Oak Apple Records to release sampler "Fresh Fruit Vol. 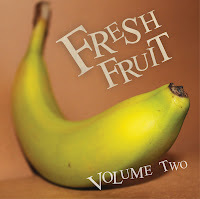 Two"
Oak Apple Records to release sampler "Fresh Fruit Vol. Two"
Edmonton-based indie label Oak Apple Records is planning to make a big push for their local scene in 2012. That all starts with the release of Fresh Fruit Volume Two, a sampler of the scene's artists. The compilation will be available on February 14th.